* Wire Frame for your Yard? 18"x24" coro prints for outdoor church signs. You can either purchase single sided or double sided and with or with out the wire flute that goes into the coro grooves. Bulk pricing is available for single and double sided signs. Click the bulk line item to see the quantity breaks. Our price for a single yard sign is high compared to Qty of 5 or more. Coroplast Sign with full color digital print. It can be either your artwork or ours, but all are printed and laminated on 4mm coroplast. Single sided prints are commonly used to mount on walls for temporary signage. Prints can be different. These coroplast signs will hold up to the weather outsided. Lamination will allow the prints to last years in the elements outside. They're easy to put up out on the front of your church lawn with the little h wire flutes. They're flemsy and cheap but they get the job done! For questions on this ChurchBanner product, please email us at info@churchbanners.com or call us Mon-Fri 888.453.0060. This is the second set of yard signs that we have purchased from Church Banners and both have been great products with a quick turnaround time. 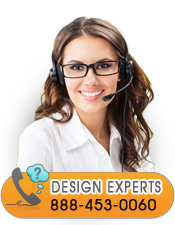 The customer service is excellent and gracious in dealing with custom graphics and questions. We ordered these to promote a big event our church hosts every year. We were under a bit of a time crunch and really wanted something durable with a lifespan of several years. ChurchBanners.com came through as usual! Not only did our yard signs look better than we could have imagined, but the quality is insane. Super-thick material (think foam-core on steroids) that will stand up to repeated usage, sunny/wet weather cycles and general abuse. All turned around in just a few days. Thanks, ChurchBanners.com - you saved our bacon... again! Click the button below to add the Custom Yard Sign 18x24 to your wish list.